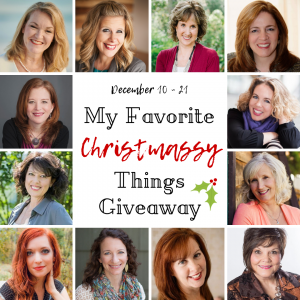 I’m pleased to be part of a dozen authors who’ve gotten together through time and space to present My Favorite Christmassy Things! My post today is the eleventh of 12. 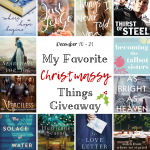 We’ve got some grand prizes that you can get in on and LOTS of individual giveaways (I have a mini-giveaway of my own today – read to the end to see what it is). 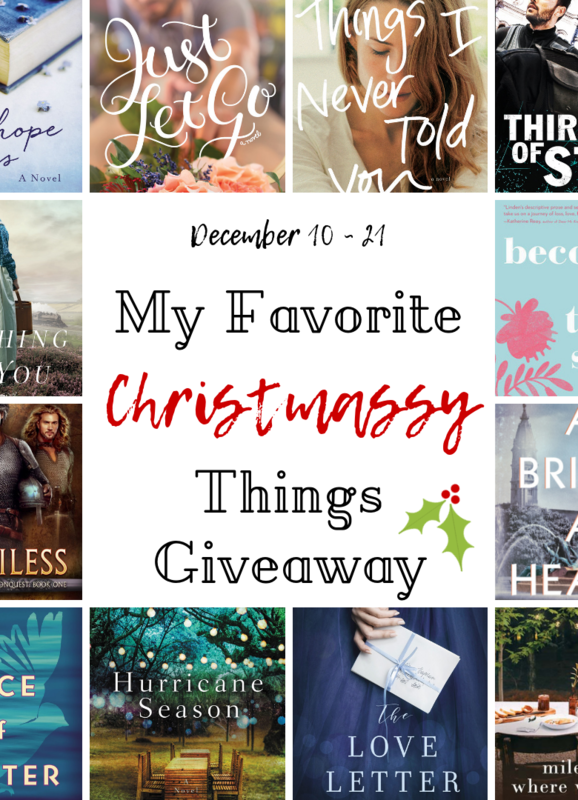 But the grand prize is big ol’ box of books and there are two smaller grand prizes to be won. 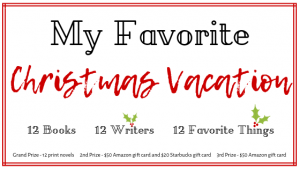 I have a list of all the other participating authors at the end of my post here so that you can get in on the big good stuff and the individual giveaways. I was given the prompt My Favorite Christmas Vacation. So here it is. To be honest, Christmas 1991 wasn’t exactly spent on vacation. I’ve actually never been on vacation at Christmas time. I’ve either been at home with my big extended family or at home with my own little one. 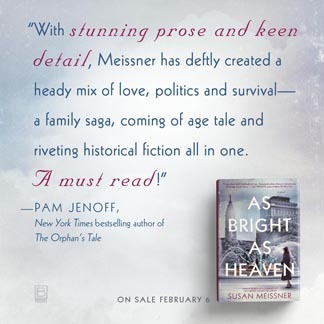 But that particular Christmas my husband and our then three children were living in southern Germany in a sweet little village called Mittelbrunn. My husband was in the Air Force at the time and stationed at Ramstein airbase. We lived 15 minutes away from the base in a skinny but splendid four-story house with tile floors with woods for a backyard and a little corner bakery that I could send the kids to get brotchen from and American neighbors on the other side of us in case I needed to borrow something I only knew the English word for. 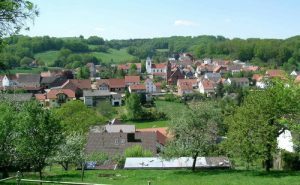 The village was so tiny, there was only the bakery, a gasthaus, a church or two and seven hundred or so German residents. That was the Christmas that we fell in love with lebkuchen and pfeffernusse. It was the Christmas where I attended my first Christmas market in Rothenberg (see the video!) and where I learned how to properly say “Fröhliche Weihnachten” and I nearly sounded like I had grown up saying Merry Christmas like that. But the best part of that Christmas was waking up minutes before dawn on Christmas morning to the sound of church bells. The world outside our bedroom window was a shade of pale sapphire in those moments before sunrise. Snow glittered like diamonds on the streets and rooftops in the waning moonlight. And even though the world was still asleep those bells rang out with such joy. It was as if the very air outside the house was calling out, “He’s here! He’s here! It’s Christmas! Wake up! Wake up! The savior of the world is here!” I didn’t mind for a second that the pealing of those bells tugged me from slumber and the children too. Those bells made me want to run outside with chimes of my own and ring out a response. I had never heard bells on Christmas morning like that, not like that. There has never been another Christmas quite like that one. We left Germany eleven months later in November 1992. That was to be my first and only Christmas in Germany. But I’ve never forgotten the sound of those bells. Me, today, with lebkuchen I got at World Market. I still eat lebkuchen every Christmas and I drink the same German coffee I fell in love with while there but I don’t live where it snows anymore and I don’t live where church bells ring out the arrival of Christmas Day. There is no little corner bakery I can send my children to and even if I could, my children are not children anymore. 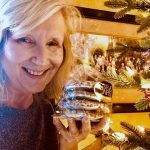 But I am so grateful for the gift of memory that allows us to revisit Christmasses past so that we can relive treasured times and those oh so scarce moments that remind us the true reason we celebrate anything at all this time of year. 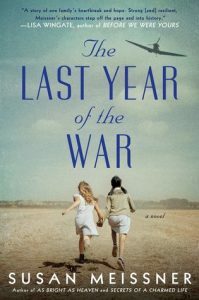 Here on my blog I am giving away one early reader’s copy of my soon-to-be-released novel (March 2019), THE LAST YEAR OF THE WAR, which incidentally takes place here in the States and in Germany, not very far from where I lived for a year and a half, You can be on the drawing for it by just saying hello here in the comments and on Dec 22, I’ll have random.org choose a winner from those who comment. W hen A Fall of Marigolds – a novel set primarily on Ellis Island in 1911 – was published two years ago, I daydreamed of signing this book at the bookstore in the main immigration building someday. I didn’t know if the opportunity would ever present itself but I remained optimistically hopeful. Well, as if often the case, that optimism paid off. 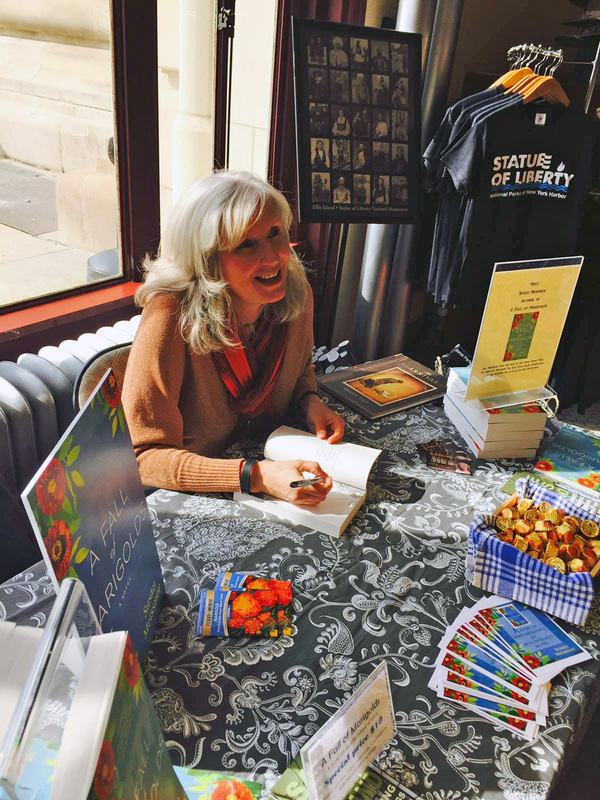 Last Saturday I spent a wonderful five-hour stretch signing A Fall of Marigolds at Ellis Island, with all the proceeds from the sale of the book going to the Save Ellis Island campaign to restore the hospital buildings. 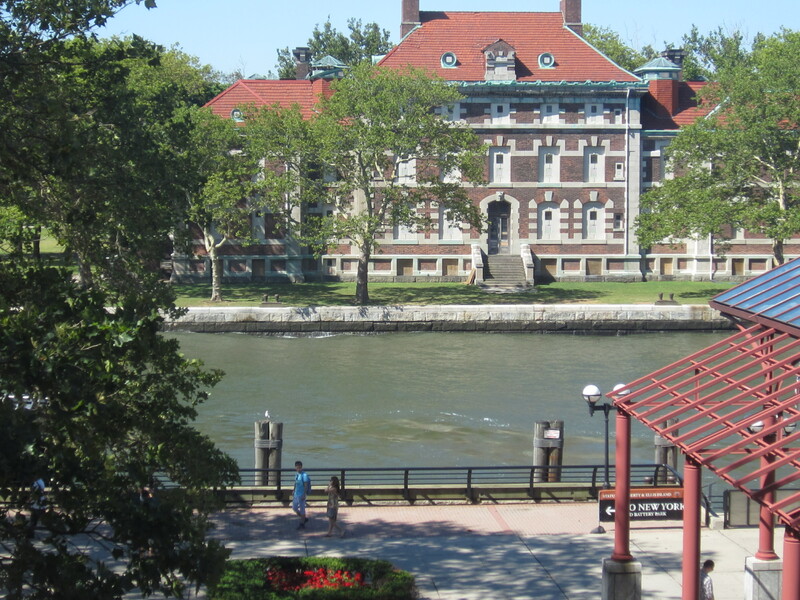 The Save Ellis Island staff who prepared a table for me and chatted up A Fall of Marigolds to bookstore customers and to hospital tour attendees, were so very kind and welcoming. The hours just flew by. And the best part was playing a small role in the effort to raise awareness for the plight of these historic buildings. 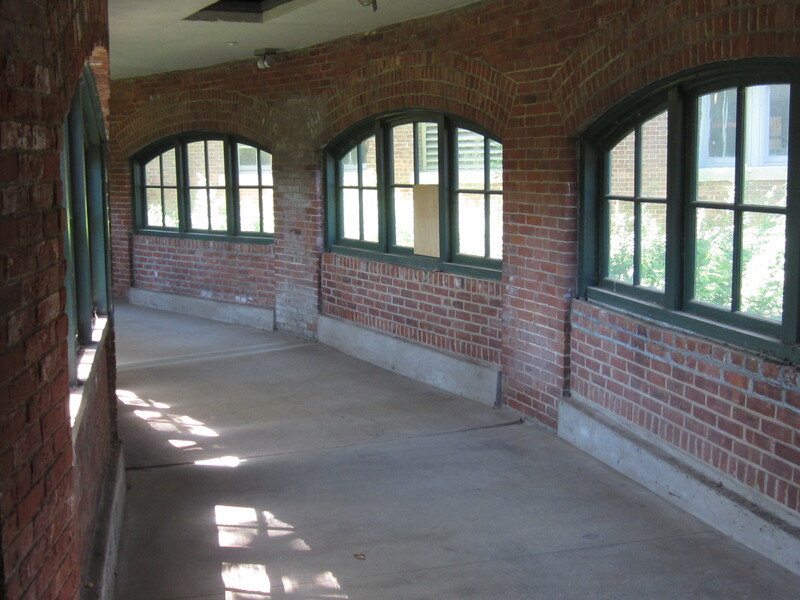 If read A Fall of Marigolds, you will remember that Clara’s story takes place largely in the Contagious Wards of Ellis Island Hospital in 1911. 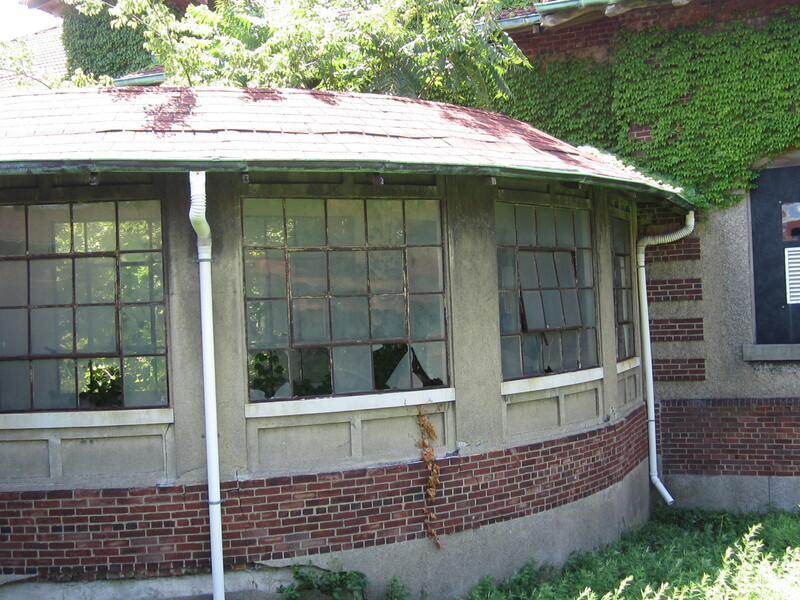 Those hospital buildings — and there are many — will continue to rumble into ruin without intervention. 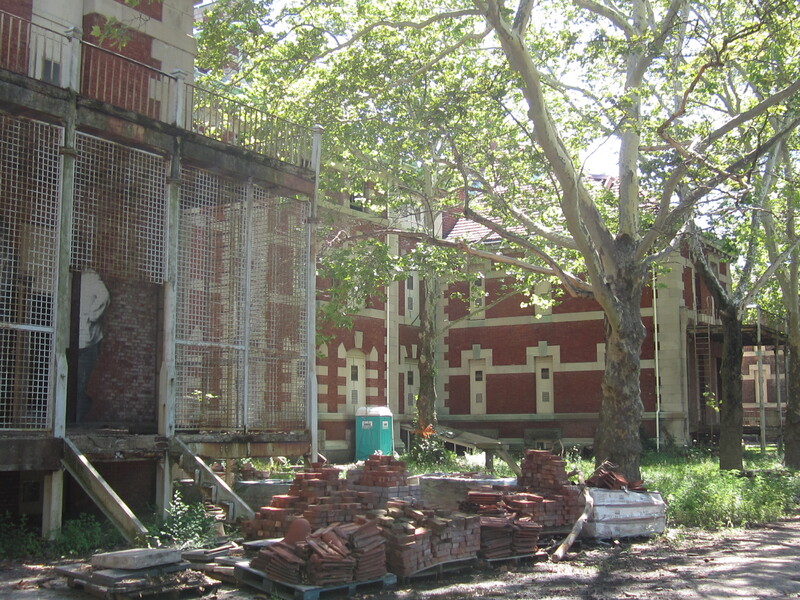 Save Ellis Island exists to spearhead the restoration effort to keep that from happening. 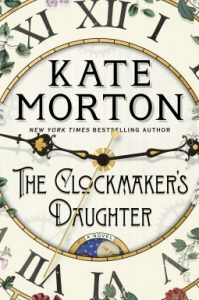 While I was there, the event planner, a wonderful gal named Jessica, showed me a book that is a recent add to the bookstore inventory. 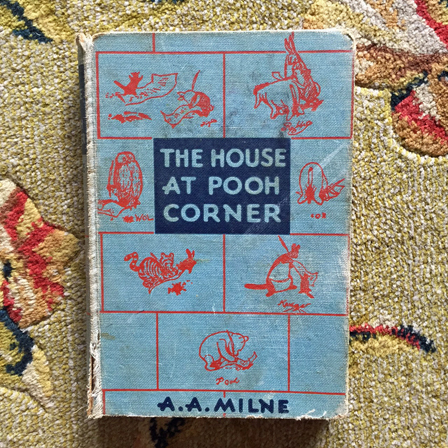 The outside cover drew me at once and then I opened the pages and fell in. 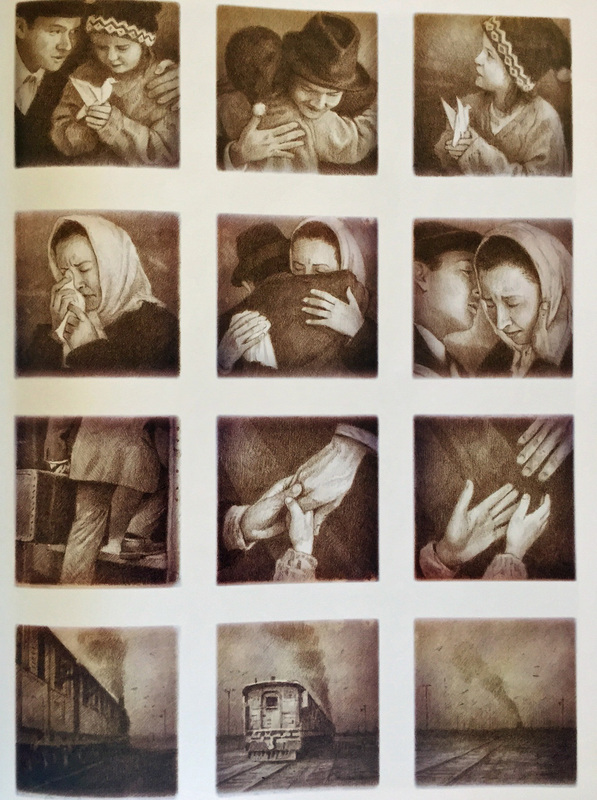 The Arrival by Shaun Tan is not like any other book that explores what it was like for immigrants to forever leave all that was familiar to come to a land of supreme unfamiliarity. 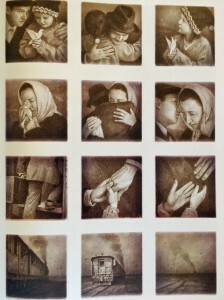 There are no words in this book, only masterfully done sketches. It’s truly a graphic novel, in every sense of the word. 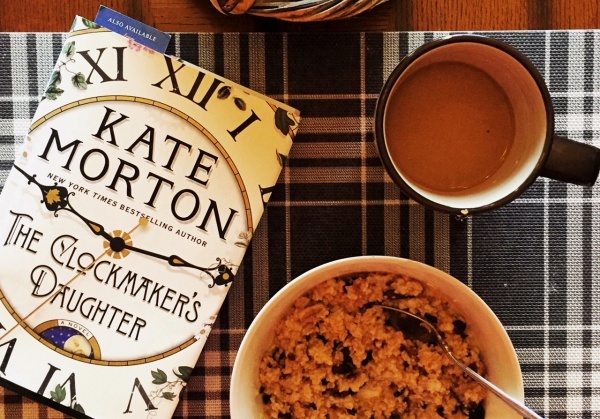 It’s a book to ponder slowly because the story is one to be discovered not one to be fed to you. 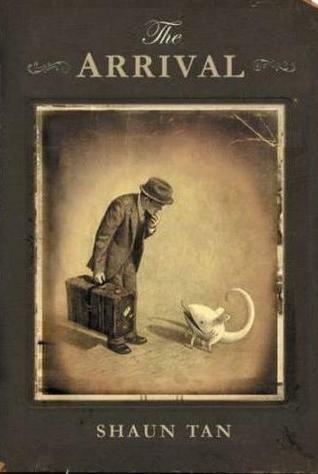 If you’ve wondered what would it be like to strike out for a new and foreign horizon where the only certainty is your desire to go, this is the book that will show you, in heart-tugging detail, what you give up, what is handed to you, what you must chase after to do it. Highly recommend it. 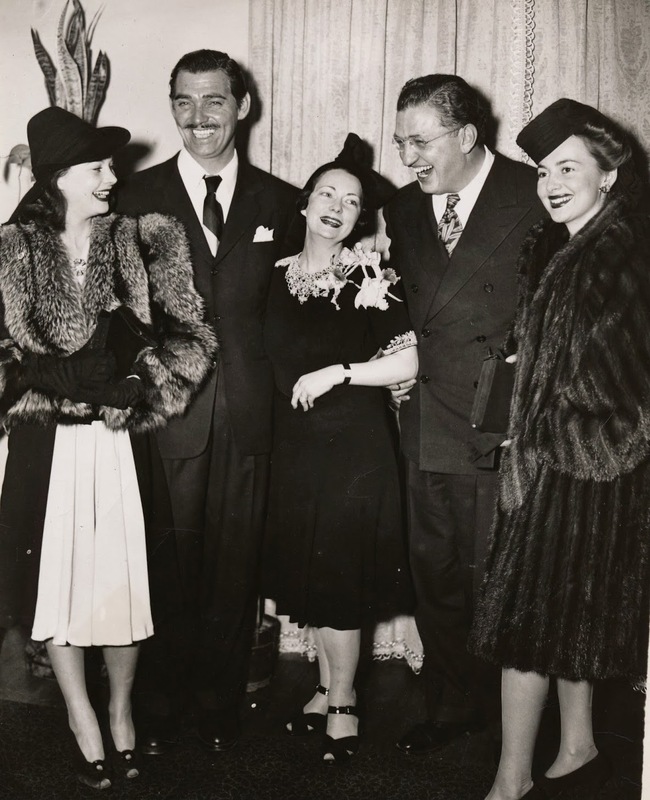 From left: Vivien Leigh, Clark Gable, Margaret Mitchell, producer David O. Selznick, and Olivia de Havilland. 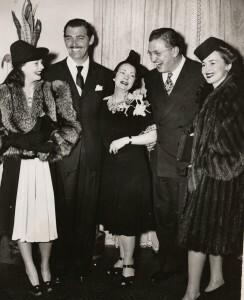 I’m in Atlanta as I write this, sitting inside a hotel room at the Georgian Terrace Hotel, the very place were the Gone With the Wind premiere party was held in December 1939, and where all the stars of the film stayed the night of that momentous occasion. I had the distinct pleasure last night of speaking at the Margaret Mitchell House about writing STARS OVER SUNSET BOULEVARD and why I chose the movie set of Gone With the Wind for its backdrop. When first I learned I was going to be speaking about this book here in Atlanta, I wanted to do cartwheels. I was that excited. A couple seconds later, though, I fully realized that I’d be speaking to a group of people who are more tied in to this film and the book than I could ever hope to be, and at a far more intimate level. That’s when I needed, if you’ll pardon my reference to Aunt Pittypat, my smelling salts. What right does a San Diegan have to speak about Gone With the Wind to an Atlantan crowd, seated in the very place where Margaret Mitchell wrote it. 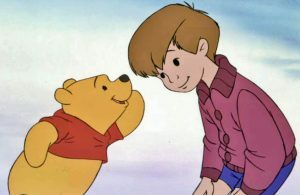 But you know, everyone who loves Gone With the Wind, and there are millions of us, is connected in a small way to the mother tree, if you will. 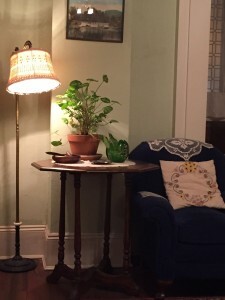 What I brought to the gracious attendees who came to hear me speak last night was my own personal bit of ponderings and musings about this story, from way out on my little limb. It was a lovely evening! 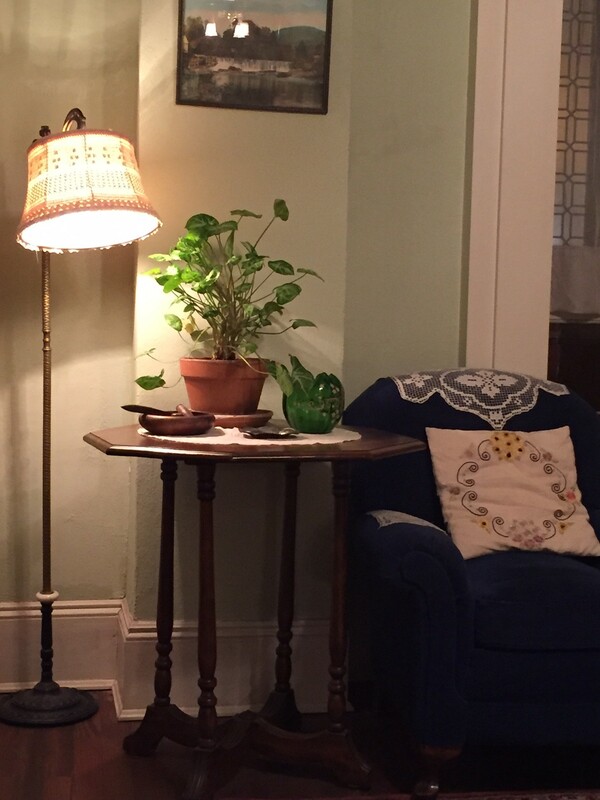 Here are a few photos from the inside of the Margaret Mitchell House (If you get to Atlanta, it’s a must-see). 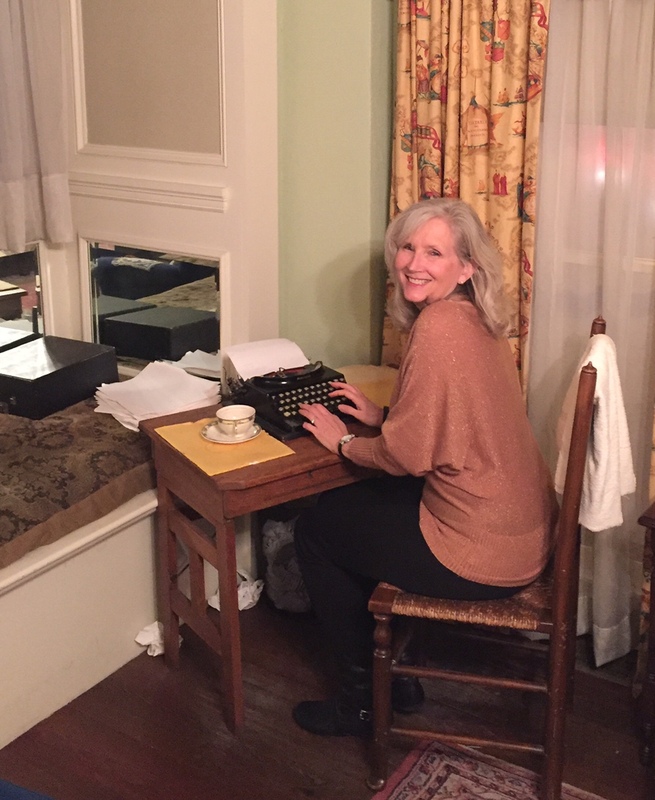 The tour offers so many insights into how Peggy Marsh’s life experiences influenced her the story of Gone With the Wind. 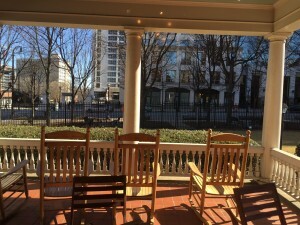 The front porch of the house looks onto Peachtree Street. Margaret was born in 1900 a few blocks away, just off Peachtree St, and died in 1949, a few blocks the other direction, also right off Peachtree Street. She was hit by a drunk driver while crossing the street. 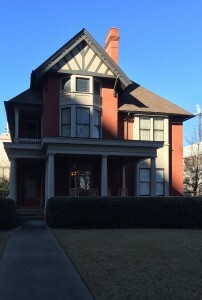 The Margaret Mitchell House used to be an apartment building for ten renters. Peggy Marsh (aka Margaret Mitchell) and her husband John moved in to apt 1 on their wedding day on July 4, 1925. 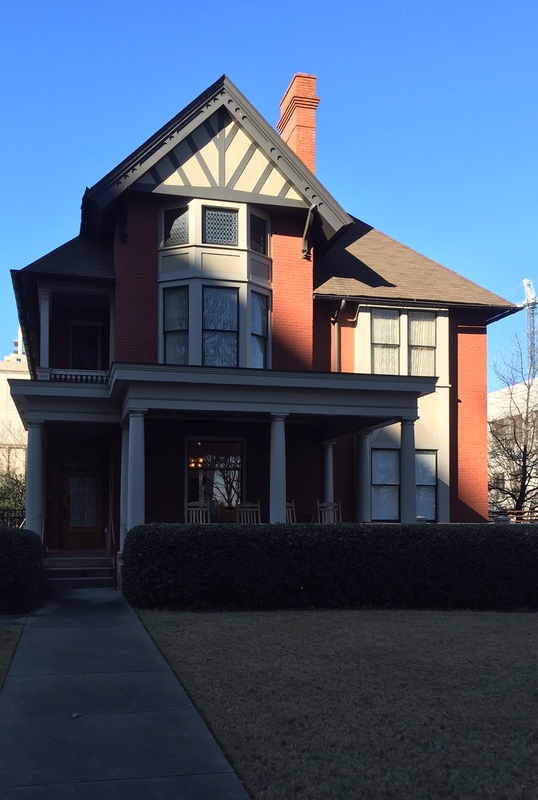 Before Margaret Mitchell wrote Gone With the Wind, she was a reporter for the Atlanta Journal. 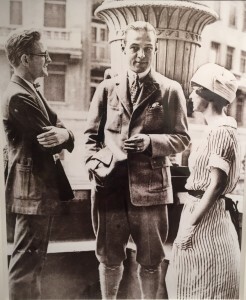 Here she is with the heartthrob of the day, Rudolph Valentino. 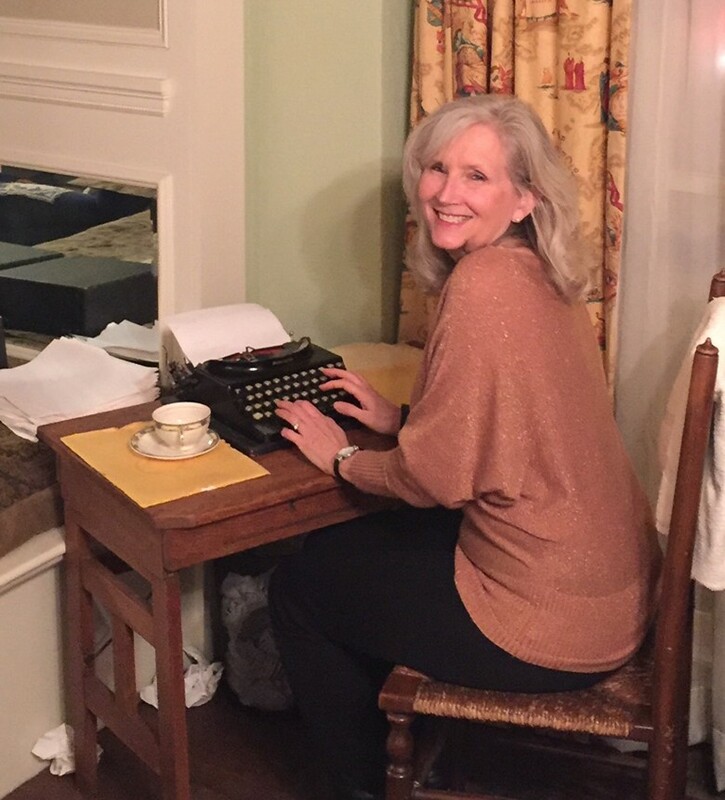 And this is me, sitting in the exact spot where Margaret Mitchell created such memorable characters as Scarlett O’Hara, Rhett Butler, Ashely Wilkes, and Melanie Hamilton. 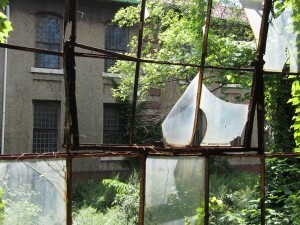 A view of the main hospital from the immigration building. 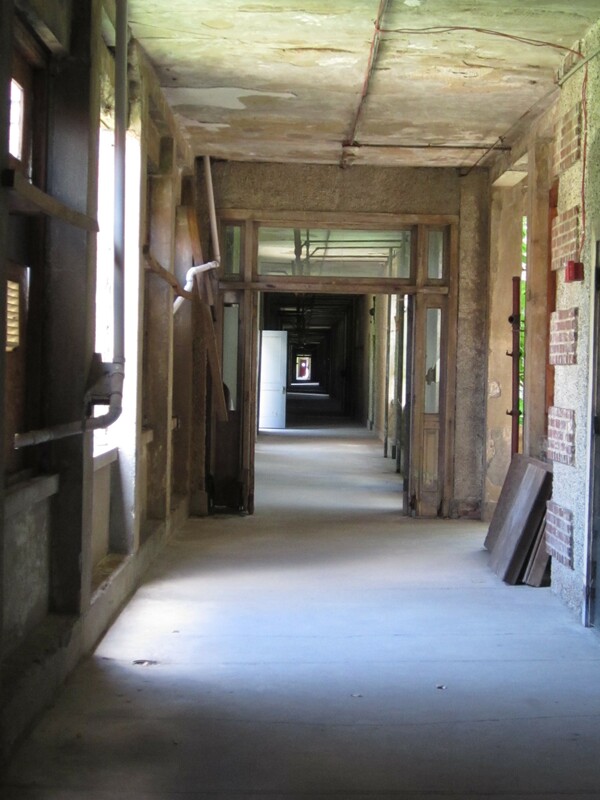 Two years ago when I was in the final stages of writing A Fall of Marigolds, I planned a trip to Ellis Island to see for myself the hospital buildings where I set the story and which have been unused for more than fifty years. They weren’t open to the public then and I was going to be given a private and guided close-up look for research purposes. 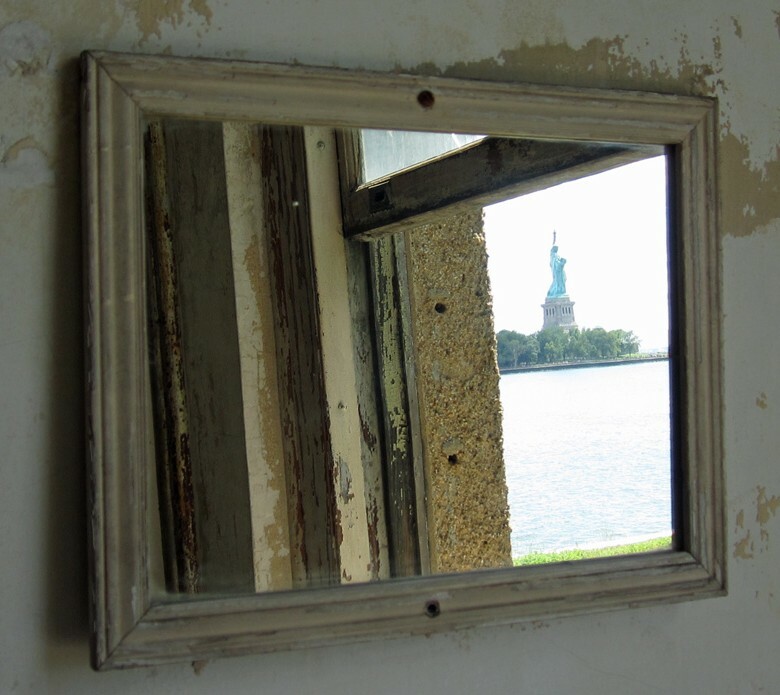 I had my plane ticket, a hotel room booked, even a reservation on the ferry all set up, but Hurricane Sandy swept in a little less than a month before I was to arrive. Ellis was one of the places that the storm hit hard. 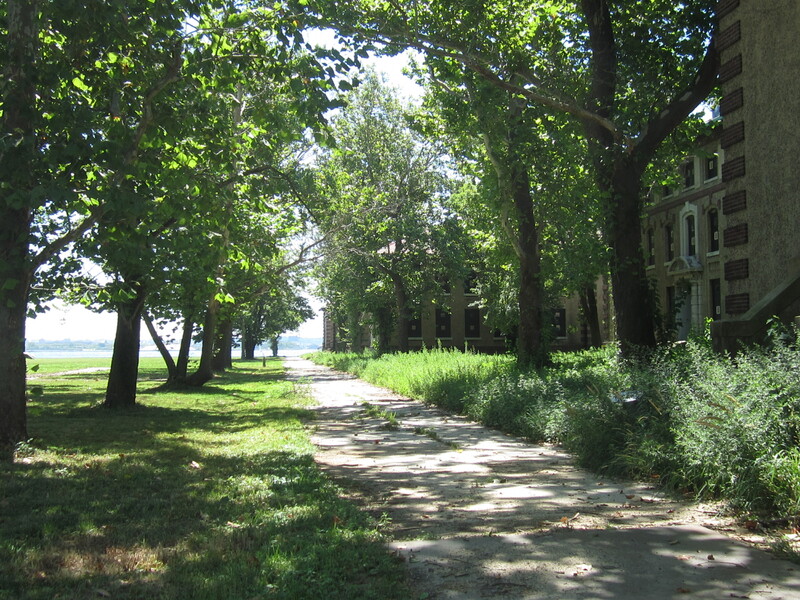 The damage to the landing docks was extensive and Ellis would end up being closed for repairs for more than a year. I still went to Manhattan. 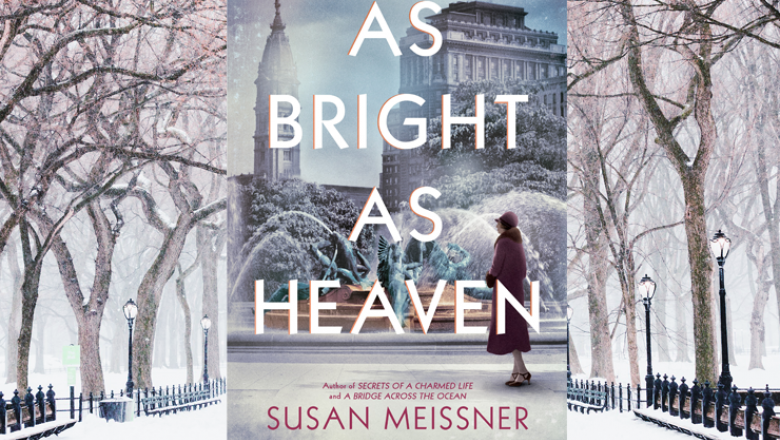 I met with my editor, took photos of the Upper West side to find the best spot for my fictional Heirloom Yard fabric store, went to the 9-11 Memorial, touched the building that had been the site of the Triangle Shirtwaist Fire, looked out over the river toward the island and the hospital buildings, and hoped there would be another time, some day, when I could walk the halls that Clara walked. This past week, I finally got my wish. 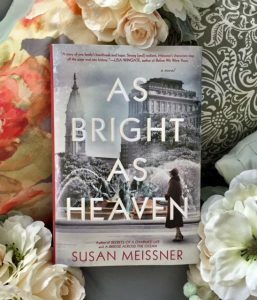 On Friday I finally got to see and touch and feel the hospital buildings that served as the detail-rich setting for this book. 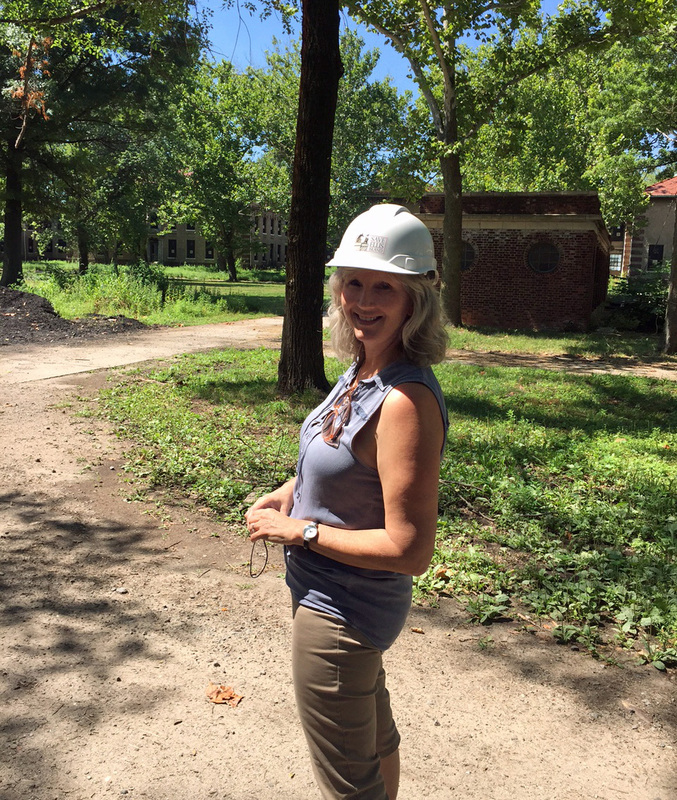 This part of Ellis is open now to hard hat tours by reservation only. I highly recommend the tour if you are a history devotee, if you enjoyed A Fall of Marigolds, and especially if you wish to join in the effort to preserve the buildings. They are crumbling into ruin as old buildings do if they are left on their own to time and the elements. 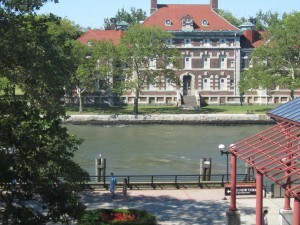 Proceeds from the tours go to the Save Ellis Island effort. It’s also easy to donate toward the preservation campaign on their website. I send a small portion of the royalties from A Fall of Marigolds to assist in this endeavor. One of several curved hallways in the contagious ward. Curves, so it was believed, kept bad air from settling in the corners. 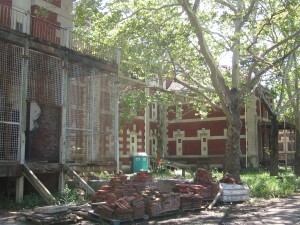 The caged area was where those with supposed mental illness could get some fresh air during their stay. The mentally ill – diagnosed back then as imbecile, idiot or moron – would sadly be sent back to where they came from as it was believed they would become a burden to society. Only those who could work and make their own way in life were allowed to emigrate. During the hospital’s golden years in the early 1900s prior to 1930, the lawns and landscaping were professionally cared for. 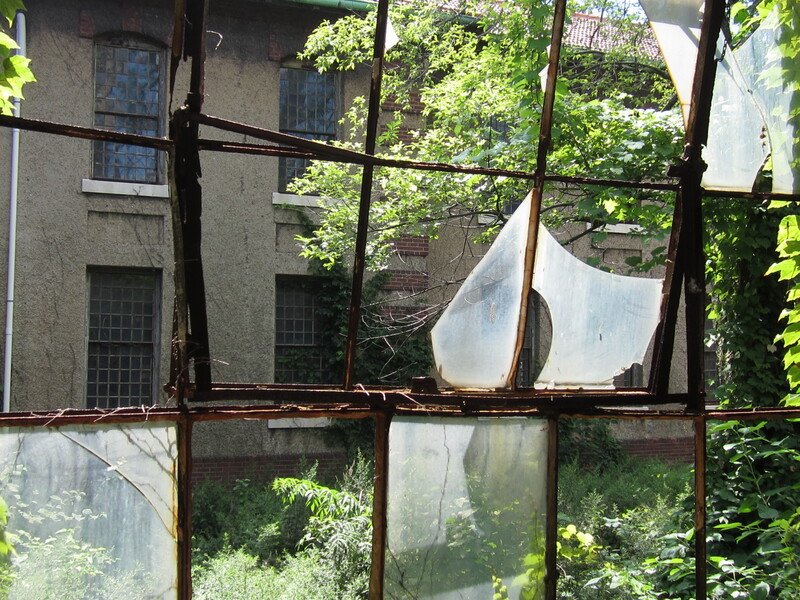 After the buildings were abandoned in the late 1950s, trees overtook the empty spaces and their limbs broke more windows than vandals and heavy storms. 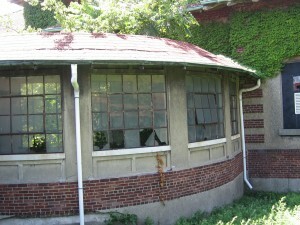 Many of the window openings have been covered to keep out the elements. But not this one. 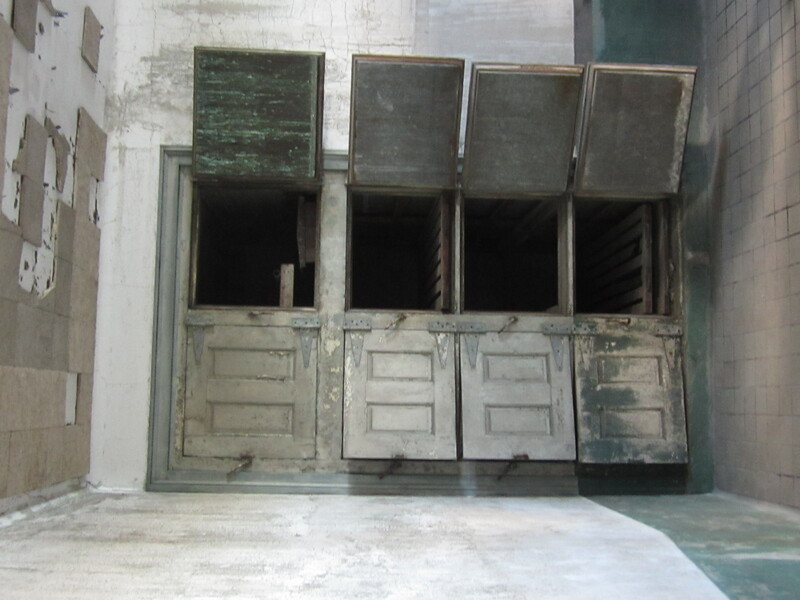 Being a public hospital, it was also a teaching hospital. This was the autopsy theater. 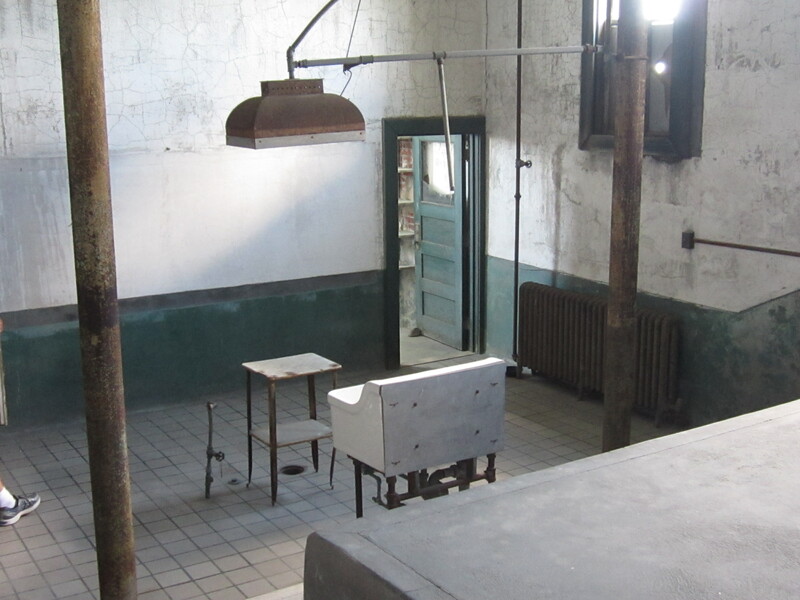 Unfortunately not everyone admitted to the Ellis Island Hospital could be cured. 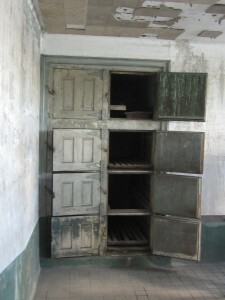 Hence, the morgue. The top two shelves would be packed with ice. 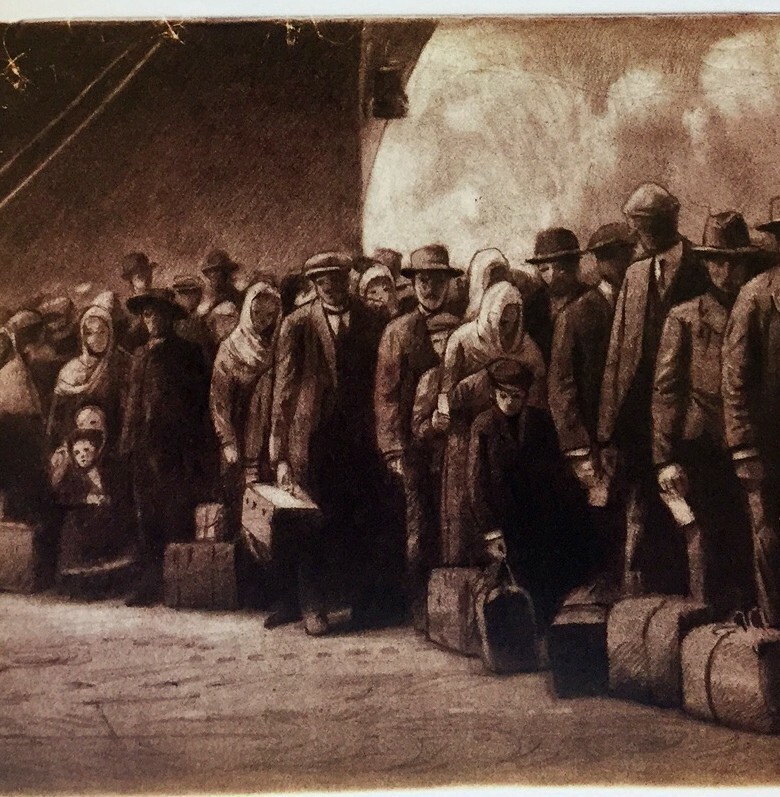 A haunting artistic display is currently on exhibit at Ellis. 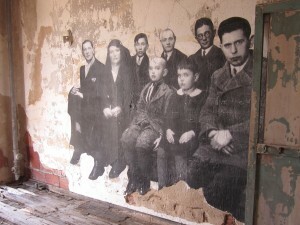 A French photographer has placed many of these images in different places. You can see more of this exhibit on the website linked above. 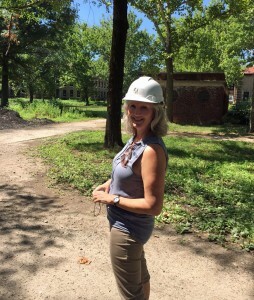 Me in my hard hat! Ever had a season in your life when everything that is constant in your personal universe decides to change? 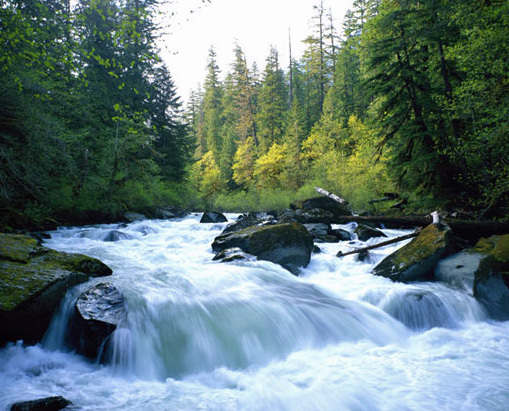 One moment you’re putzing along in your little boat on a lazy, little river of which you know every bend, and the next you’re speeding down foamy rapids that don’t know the meaning of lazy. I’ve had times when big changes tossed me out of the boat for a cold, hard swim (no more of those, thank you) and I’ve also had times when the deviated course made for a thrilling ride (the changes were for the most part good), but that didn’t mean I could just lay back and trail my hand in the water – know what I mean? There is this little joke spinning about the planet that says if you want to hear God laugh, tell him your plans. We smile at that, but really I don’t think plan-making makes God double over in holy chuckles. I don’t think he’s the cosmic prankster some have made him out to be. I think life truly is what happens to us when we’re busy making other plans. It’s great that we get to make plans. But it’s also imperative that we adapt to the unplanned. Making plans is smart, forward-thinking, reasonable. Adapting to the unplanned is exactly the same, I think. Some people like change, some don’t. But change is like rainy days and the fifteenth of April and trips to the dentist. It will come, whether we like it or not. The best stories I’ve read and certainly the best I’ ve written are the ones about characters responding to change. 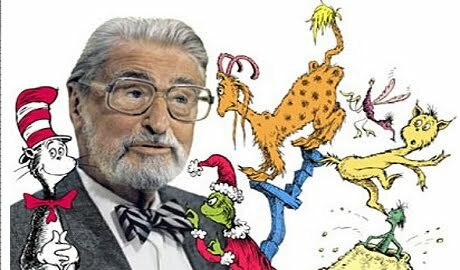 We couldn’t keep all the books our kids had on their bookshelves when they were little, but we did hang onto all the Seuessian books. We hoped there would be a time when we would have grandkids and they would be at our house and we’d want there to be books for them to read or have read to them. 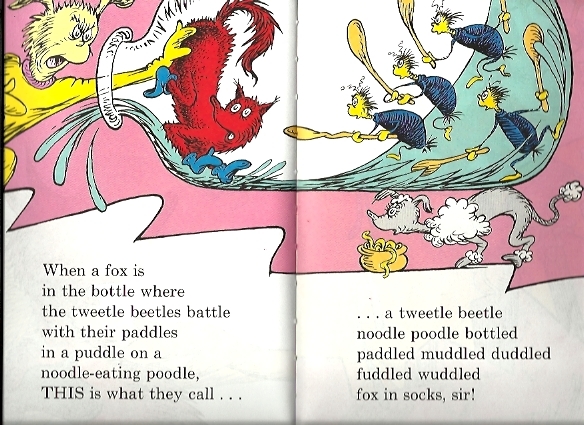 Now that we are expecting our first grandchild in June, I see I must unearth Fox in Socks and get back to speed on the oral delivery of its pages. One king, two king. Dead king, who king? He has brains in his head. He has feet in his shoes. But the ducks just keep flying wherever they choose. When you’re in a slump, you’re not in for much fun. Un-slumping yourself requires sparkling in the sun.